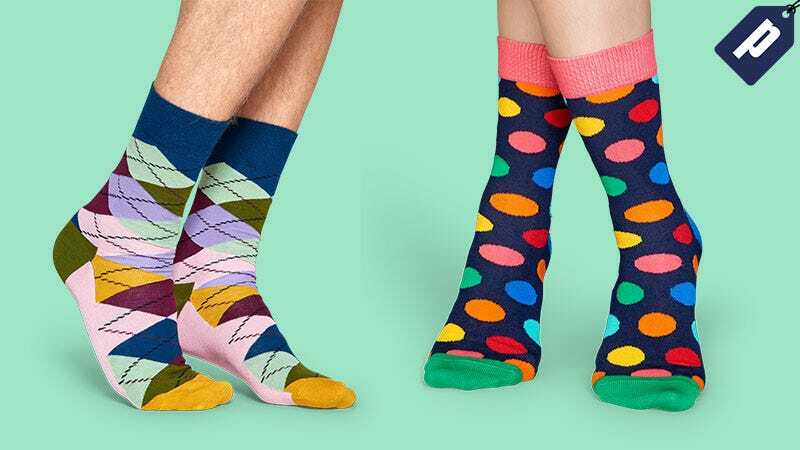 Happy Socks features pairs in limitless combinations and colors. Made from high quality combed cotton and a reinforced toe and heel, they’re comfortable, long-lasting, and offer a design for any occasion. Choose from typical stripes, polka dots, and argyle, or animal, paisley, and feather. Use code EXTRASALE10 and snag pairs for as low as $6.50 plus free shipping. Full details here.